As the only survivor from her vehicle, 53-year-old Trinidad says that the only thing keeping her going in the wake of this tragedy is the chance to seek justice for her family. The sole survivor of a tragic crash that took her entire family spoke for the first time on Friday. Pat Battle reports. 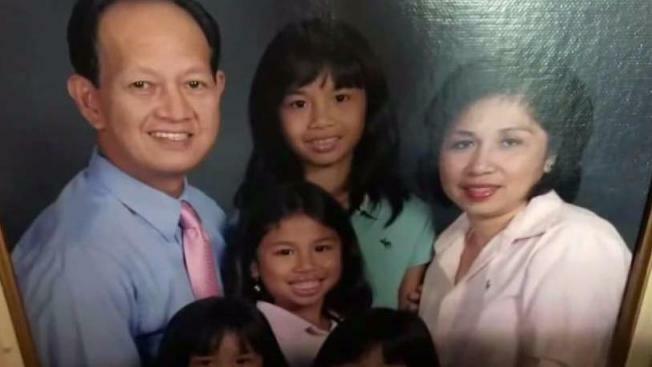 Mary Rose Trinidad was the sole survivor in her vehicle of a crash that killed her husband and four daughters on July 6 in Delaware. A pickup truck, driven by 44-year-old Alvin Hubbard Jr., veered across a grassy median on Delaware Route 1 and struck the family's minivan. Trinidad says that the only thing keeping her going in the wake of this tragedy is the hope of seeking justice. The New Jersey woman who was the only survivor of a head-on crash that killed her husband and four daughters in Delaware earlier this month said Friday she is "dying inside every day" from the loss of her family. Mary Rose Trinidad is currently recovering from the physical injuries she sustained during the crash at the Kessler Rehabilitation Institute in West Orange, but she says she will never truly heal. "My broken bones and my injuries will heal, but not the unbearable pain in my heart," Trinidad told News 4. She added, "part of me died that day and I'm dying inside everyday." A Ford pickup truck, driven by 44-year-old Alvin S. Hubbard Jr. of East New Market, Maryland, veered across a grassy median on Delaware Route 1 through Townsend and into northbound traffic, police said. It struck the family's minivan head-on the afternoon of July 6. The victims were identified as Audie Trinidad, 61; and his daughters, 20-year-old Nikki, 17-year-old Danna and 13-year-old twins Allison and Melissa. The family was returning from a trip to Ocean City, Maryland, when the crash took place. Hubbard and his passenger were both able to walk away without serious injuries. "I want justice for them and him criminally prosecuted," she added. The girls and their father have not yet been laid to rest, although a vigil was held by friends on July 7. "We want to keep this case in the headlines and let the state troopers and the attorney general know it's important," Diane Lucianna, one of Trinidad's attorneys, told News 4. There will be no funeral service until Trinidad is able to walk to attend the services herself. Father, 4 Daughters from NJ Killed in Head-on Crash in Del.